Nothing beats living in the city, but the traffic is something we would all rather do without. Public transport offers one solution, but depending on the bus timetables can lead to long wait times or even a missed bus if you’re running late. Walking is great if you live near your place of work, but most of us aren’t that lucky and don’t have time to hoof it several miles. In response to these challenges many people choose to bike to work, but for those with substantial commutes or hilly routes, biking can be prohibitively difficult. 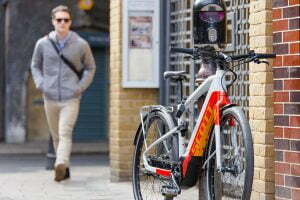 Electric bikes present an exciting solution to this challenge. Here’s why these vehicles are so cool, and why you might want to make an ebike your next ride. Many people would be open to biking to work if it didn’t mean they’d arrive tired, sweaty, and completely out of breath. The power in an electric commuter bike can help you get to your destination without looking – you know – like you biked there. Bicycling is often faster than driving a car or taking public transportation because it enables you to bypass areas of heavy vehicle congestion. An ebike speeds up your commute even more and helps you reach speeds of 15 mph assisted up the steepest hills. Once you get to your destination, you can forget about circling the block over and over again looking for parking – just lock your ride up on a bike rack and go about your business. Choosing to bike instead of drive reduces your carbon footprint and helps to improve air quality where you live. Of course, exactly how good for the environment an ebike is depends on the source of the electricity used to charge its battery. If the planet-friendly angle is important to you, consider buying your energy from one of the many green energy suppliers to ensure that the power behind your bike comes from a renewable source. Want to stop at the grocery store on the way home from work? Bikes like the Giant Ease E+ feature an integrated rear rack so that attaching pannier bags to carry a little cargo is simple. Need to get to work even though there’s snow? There are ebikes with front and rear mudguards that keep tyres from kicking puddles up at you, or you can buy mudguards separately and attach them yourself or have us fit them. Riding after dark? Most ebikes come with lights and reflective tape to keep riders visible and safe. Special features like the ones above mean that you can go about your day secure in the knowledge that however it pans out, you’ll be able to do your to-dos and get yourself home safely. Driving is expensive. Add up your monthly payments, your tax, insurance, fuel, maintenance and parking, and you’re looking at quite a bill. Running a car will cost you anything between £1500 and £4500 a year according to this report. 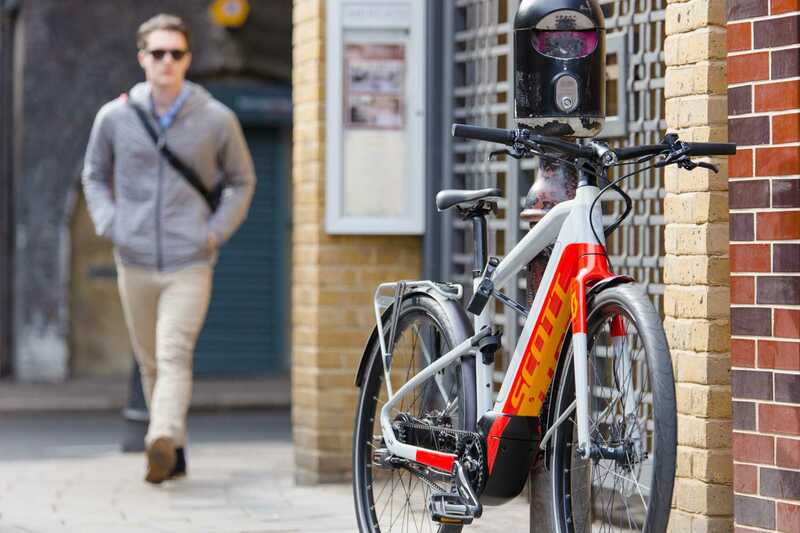 An ebike will cost around 0.2p per mile to charge and even figuring in £150 a year for maintenance and tyres it’s a pretty sizeable difference. If you’re sold on the idea of an ebike, pop in store and we can advise as to what might be the right bike for your lifestyle and budget. Not hearing from us? We’re really really sorry! If you’ve been expecting an email from us and you haven’t received a response it’s not that we’re lazy, don’t care or don’t want your business, it’s that our really helpful hosting company Easyspace.com has been spam filtering our outgoing mail and not telling us. Pretty helpful huh? If you’d still like to hear from us please get in touch. Apologies again for their ineptitude. We’re really excited to announce that we’ve just become a CUBE Bikes dealer! Cube electric bikes are some of the best value electric bikes on the market starting at £1699 for a Bosch driven electric bike. See what we’re up to here! We will be closed tomorrow (Monday 29th Feb) due to family issues. We’ll be open again on Tuesday 1st March as usual. This month every electric bike sold will come with free Schwalbe Marathon Plus tyre upgrade worth over £70. We’re training with Bosch this Monday so unfortunately we’ll be closed. This will keep our Bosch Service Centre credentials up to date. This offer is valid on pre-orders for 2016 bikes (10% deposit required) as well as in stock bikes.